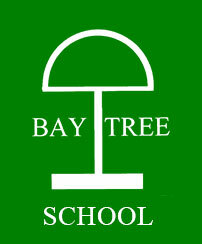 All admissions to Baytree are determined by the Local Authority (LA) following consultation with the school. The Governing Body is responsible for ensuring, to the best of their endeavours, that the provision specified in the Statement of Special Educational Needs (SEN) or Education Healthcare Plan (EHCP) is made available for the pupils placed at the school, from within their delegated budget. In exceptional circumstances the LA allocates additional resources for specifically identified needs. Direct links to these sites are on all teacher laptops and admin computers. E-Safety is essentially safeguarding children and young people in the digital world. It is about learning to understand and use technologies in a positive way, and about supporting children and young people to develop safe online behaviours (both in and out of school). E-Safety encompasses not only internet technologies, but also other means of electronic communications, such as mobile phones, games consoles and wireless gadgets. There has been an increasing convergence of technologies over recent years, for example, MP3 players and electronic readers that can access the internet, and mobile phones and hand held devices that can take photos, play games, access the internet and play music. Pupils will be taught to question information before accepting it as true. The school will ensure that use of Internet derived materials by staff and pupils complies with copyright law. Pupils will be made aware that the writer of an E-mail or the author of a Web page may not be the person claimed. Pupils will be encouraged to tell a teacher immediately if they encounter any material that makes them feel uncomfortable. This school has a duty to provide students with quality Internet access as part of their learning experience. The Internet is part of the statutory curriculum and an entitlement for pupils as part of their learning experience. It is used in this school to raise educational standards, promote pupil achievement and as a necessary tool for staff to support their professional work. The Internet also enhances the school’s management information and business administration systems. However, in common with other media such as magazines, books and videos, some material available via the Internet is unsuitable for pupils. The school will take all reasonable precautions to ensure that users access only appropriate material. However, due to the international scale and linked nature of Internet content, it is not possible to guarantee that unsuitable material will never appear on a school computer. Neither the school nor North Somerset Council can accept liability for the material accessed, or any consequences of Internet access. The names of pupils are put forward by the LA. The LA sends copies of the Statement of SEN or Education and Healthcare Plan (EHCP) accompanying Appendices (supporting reports) to the school. The Headteacher discusses the needs and provision with the School Leadership Team. On behalf of the Governing Body Headteacher makes a decision as to whether the acceptance of the pupil is appropriate. In the case of dispute the full Governing Body is consulted. (i) Severe Learning Difficulties and/or Profound and Multiple Learning Difficulties is specified as the main need in Part 2 of the Statement of SEN or in the ECHP(ii) Individual needs reflected in the Statement/ECHP can be met through provision/professional expertise/resources currently available. (iii) Where there are exceptional circumstances an additional allocation of resources, e.g. for staffing, specialised furniture or equipment, is made available from the LA. (iv) The needs of the pupil concerned are compatible with the interests of other pupils already in the school. Vulnerable Learners’ Service, Town Hall, Weston-super-Mare, BS23 1UJ. The Special Educational Needs Team have information on the North Somerset Council website. We are committed to seeking and acting on feedback from staff, pupils, parents and other stakeholders. We would like you to help us to be aware of you views on what is happening and how things could be even better. 1. Do you feel our curriculum (including visits out of school and special events in school) fairly represent the different cultures within our community? 2. Do you believe all pupils regardless of ethnicity have the same wide access to school activities? 1. Do you consider that all pupils regardless of mobility and/or other disability issues enjoy fair and reasonable access to visit places and/or participate in events off site where different levels of access are appropriate? Horse riding was promoted for the more able bodied in the class. Not sure if this is something that the school can improve on as generally there are not as many opportunities for children with PMLD. Not sure. Maybe put out a bulletin at the beginning of each term stating what they will be doing/attending. Rather than having a themed day or week perhaps termly which will give a greater chance of learning and not trivialise other activities. 2. Do you feel that all reasonable steps are taken to ensure all pupils regardless of their disability are able to participate fully in a wide range of activities and where this is not possible complementary activities are organised, although they may happen at different times? I guess. Not always made very clear and not specified in communication book. Complementary activities tend to be repetitive. School day does not appear to be as structured which does not allow for time to plan ahead. 3. Do you consider pupils have the opportunity to represent their opinions in school? No school council or elected students. Do you ask the students what they think? If they are capable, yes. 4. Have you ever witnessed any harassment or discrimination directed at or related to the disability of our pupils in school in the last 12 months? 5. Have you ever witnessed any harassment of discrimination directed at or related to the disability of our pupils out of school in the last 12 months? 1. Do you feel that all pupils regardless of their gender enjoy the same opportunities to participate equally in all school activities? I believe so. I have confidence in the people who run Purple Class and expect this to be true. In the first instance we ask that parents/carers raise any concerns with their child’s teacher. complaints concern matters including the curriculum, religious education, the school’s provision of information the procedures provide for complaints to be directed initially to the Headteacher for an attempt to resolve them informally. If this fails, there is then a formal appeals procedure for parents/carers to follow.